Susan Draper Reid, age 84, died peacefully on February 9, 2019. She was born in Barrington, Illinois on May 2, 1934, and was married to David D. Reid for 61 years until his death in 2017. Susan graduated from the Masters School in Dobbs Ferry, NY and attended Wheaton College and Katherine Gibbs Secretarial School, graduating in 1954. She was a volunteer in many organizations in the Chicago area and enjoyed a decorating business which she started in 1970. She and David lived in several Chicago suburbs until their retirement in 1984 when they moved to Cape Cod, his childhood home. Susan was an avid golfer from childhood, loved gardening, reading and the travels they took in retirement. 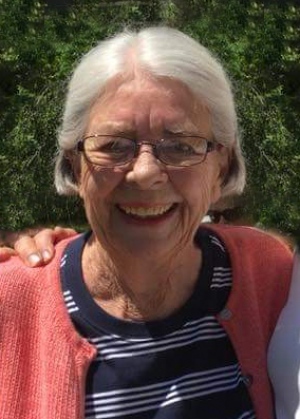 She was a devoted member of St. David’s Episcopal Church in South Yarmouth and a member of the Society of the Companions of the Holy Cross where she spent many happy hours volunteering at Adelynrood, the society’s conference and retreat center in Byfield, MA. A memorial service will be held at 3:00pm on Saturday, February 16, 2019 in St. David’s Episcopal Church, 205 Old Main St., South Yarmouth. A private family burial will be held at a later date. In lieu of flowers, contributions in Susan’s memory may be made to St. David’s Episcopal Church, 205 Old Main St., South Yarmouth, MA 02664. She was a special lady who seemed to make one feel special. So sorry for your precious loss Pam. I'm so sorry for your loss of your dear mother.